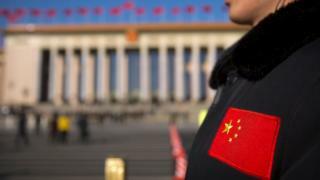 A veteran US state department employee with access to sensitive information has been accused of concealing her contacts with Chinese intelligence agents, the justice department says. A criminal complaint said 60-year-old Candace Marie Claiborne received tens of thousands of dollars in gifts. The employee has been charged with obstructing an official proceeding and making false statements to the FBI. She was arrested on Tuesday. In court on Wednesday she pleaded not guilty. Ms Claiborne started working for the state department in 1999 and served at a number of foreign missions, including Iraq, Sudan and China. She had a top secret security clearance, and was required to report any contacts with persons suspected of affiliation with a foreign intelligence agency, the justice department said in a statement. "Claiborne failed to report repeated contacts with two intelligence agents of the People's Republic of China (PRC), even though these agents provided tens of thousands of dollars in gifts and benefits to Claiborne and her family over five years," it said. She was accused of receiving almost $2,500 (£2,010) from a Chinese agent in 2011 in exchange for information about US economic policy in relation to China. "Claiborne, who allegedly confided to a co-conspirator that the PRC agents were 'spies,' wilfully misled state department background investigators and FBI investigators about her contacts with those agents," said the justice department statement. It went on to say that she "instructed her co-conspirators to delete evidence connecting her to the [Chinese] agents" after being contacted by the state department and FBI. She made her first appearance in the US district court for the District of Columbia on Wednesday. A preliminary hearing was set for 18 April. The maximum prison penalty for a person convicted of obstructing an official proceeding is 20 years. For making false statements to the FBI, the maximum term is five years. The state department has not commented on the case. The revelation comes ahead of the meeting between US President Donald Trump and Chinese President Xi Jinping next week. Could China's Trump tactics actually be working?